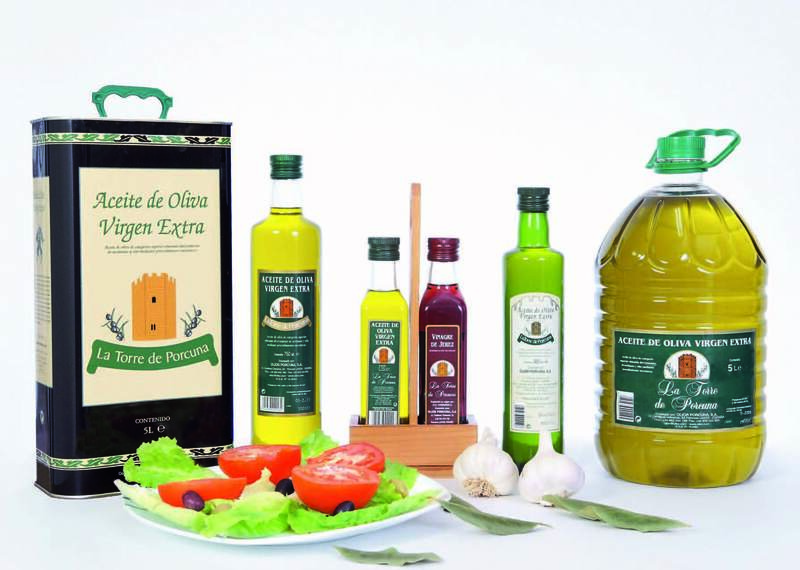 OLIOR PORCUNA, Inc. is a company dedicated to the manufacture, packaging and marketing of Extra Virgin Olive Oil "LA TORRE DE PORCUNA". We know our industry, from grower to final consumer, always betting on quality and continuous improvement of both our oil and facilities, and the services provided to clients, for which we have made great economic and human effort test this is the modern facilities for milling and packaging with which we have today, and have implemented an integrated environmental management based on ISO 9001 and ISO 14001 certified APPLUS. OLIOR PORCUNA, SA, was founded in 1968, the facilities available to it the company was formed by two stone mills, then it was imposing the traditional press or until the year 1985 in which there were ten of these presses, but the desire to improve the quality, in 1992 this traditional system was replaced by the ecological system, also called spin in two phases, and at present three lines of this nature. In the bottling plant have a modern bottling line. Our extra virgin olive oil comes in various packaging, mainly canned and glass containers as they are the best preserved all its organoleptic characteristics.